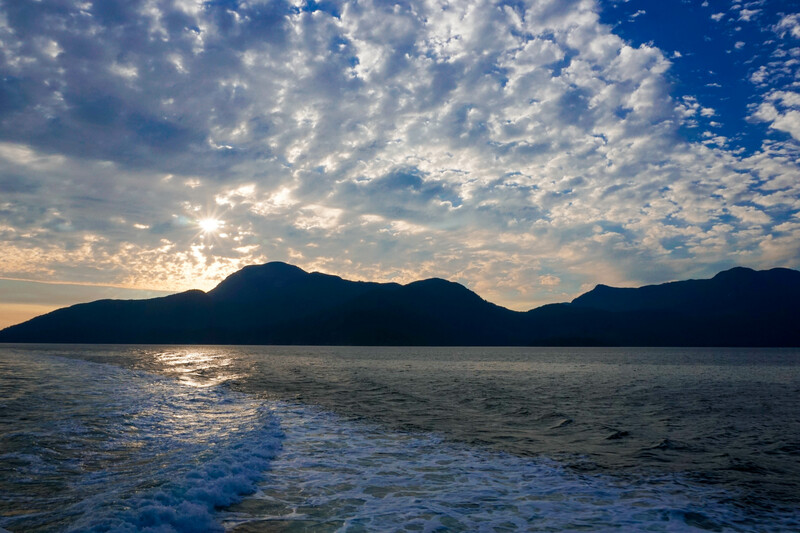 Today, you'll be driving through metro Vancouver, to your first stop - Harrison Hot Springs! What better way to get your trip started than a long, luxurious soak in the mineral infused waters of a Canadian hot spring? Harrison Hot Springs is a wonderful facility, where the natural hot spring water is pumped into pools of differing temperatures! Our suggestion? Spend most of your time in the warm pool, and when you get too warm, take a quick dip in the ice-cold pool, and a quick dip in the HOT pool. That will help “reset” your body so you can spend even more time relaxing in the warm water! For today, book yourself a wine tour for the afternoon! 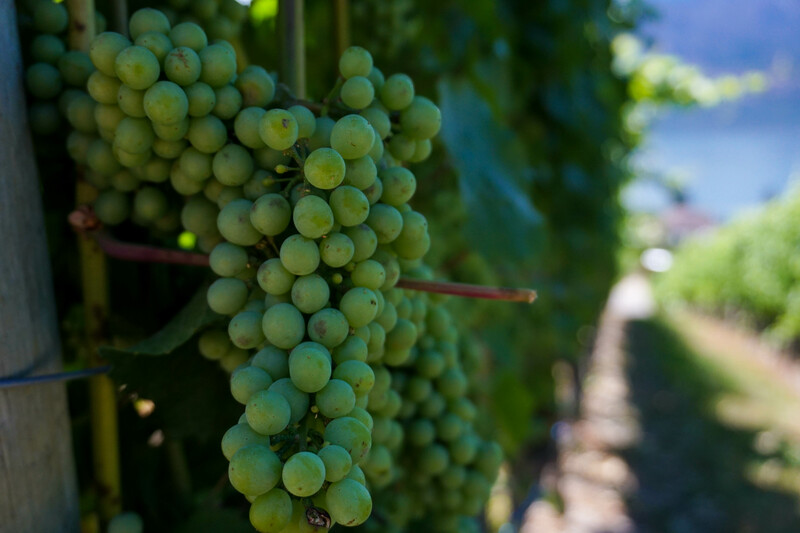 The Okanagan is BC’s wine country; with delicious local wineries, distilleries, and breweries, you’re bound to find something to enjoy. Most wineries have on-site dining, and if you’re looking for a recommendation of where to enjoy a meal, the professionals at Tastefull Excursions Wine Tours can point you in the right direction! You've made it! Arriving on day 3 of your tour, you'll be staying to enjoy the park until the morning of day 6, so feel free to book a few tours! 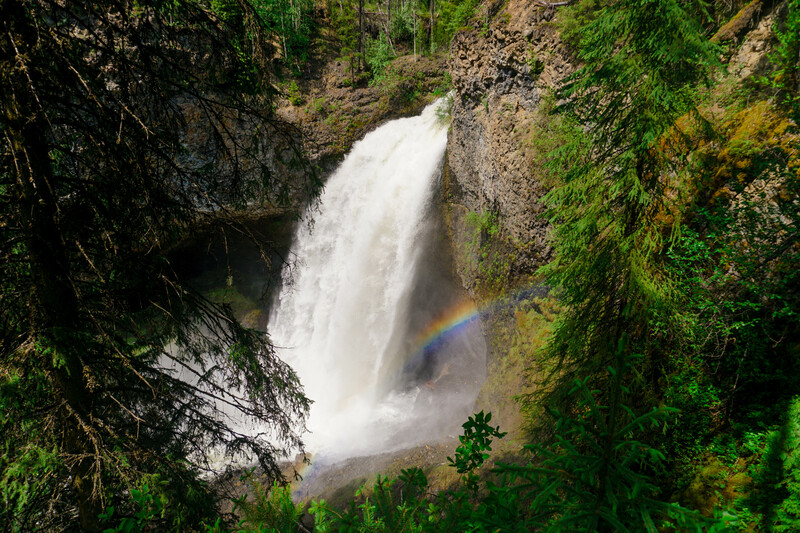 Here are our tips for your visit to Wells Gray! Go to the visitor’s centre: The volunteers that staff the visitor’s centre are knowledgeable, friendly, and a hub for all the activities in the park! When you arrive, visit them for a free hiking map, and book your activities as you wait! They also have a gorgeous little picnic area, so feel free to spend an afternoon there. 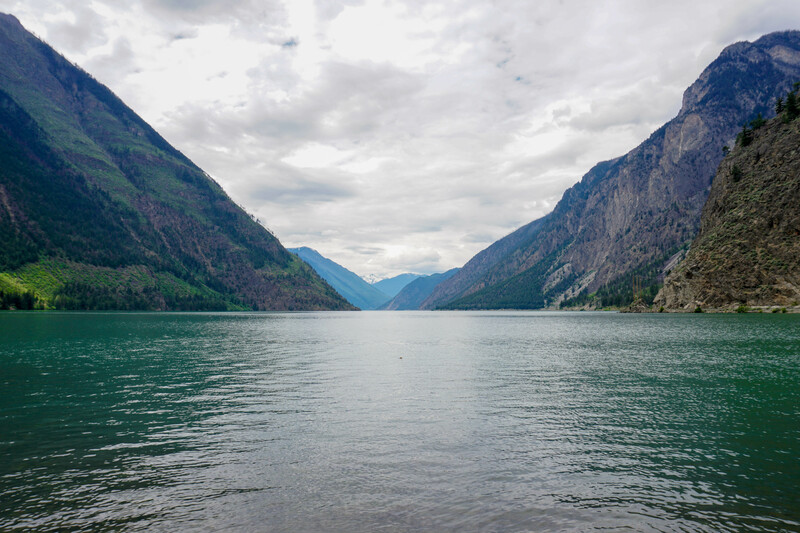 Dutch lake: This lake is at the centre of Clearwater, and while the town is named after the river, the water in Dutch Lake definitely lives up to the town’s name! Crystal clear, with swimming docks, a sandy beach, and picnic areas, this is a great place to cool off. We'd recommend spending your first afternoon relaxing here! The Waterfall Tour: This driving/walking tour will show you some of the highlights from the park. On your way in, stop at Spahats Falls for a 10-minute walk to the viewing platform. Grab a Weisswurst with sauerkraut and an authentic Belgian waffle on your way out! Dawson Falls is about a 15-minute walk from the parking area, and is a mini-Niagara (a wide but not super tall fall). And finally, Helmcken Falls, which is GORGEOUS and would be impossible to disappoint! Whether it’s crowned with ice or against the backdrop of a blazing summer sky, Helmcken Falls is a sight you don’t want to miss. Horseback Riding: I have done quite a bit of trail riding in my life, and I was very, very impressed with Battle Mountain Equine Adventures. They match you up to your horse not just based on size, but on experience and personality as well. They also take the time to let you learn and experiment how to communicate with your horse, so that on the trail, you can spend more time enjoying the views of bear-scratched trees, creeks, and endless forest, rather than worrying if Geronimo or Moon or Sparrow will go where you want them to! The guides are extremely knowledgeable about the area and history. They love their work, are proud of their stables, and it shows. I would ABSOLUTELY recommend this tour. The drive from Clearwater to 100 Mile House is beautiful, but very windy - with lots of twists and turns. There are ample opportunities to pull over and take a few photos, however, and we highly recommend that you do. Do this drive in the morning, and you can pull over and cook lunch with a view of Lac Des Roches! This area is the "Interlaken" of Canada - lots of little lakes, gorgeous countryside, and a large Swiss and German presence. Once you reach 100 Mile House, stop for a Schnitzel at The Happy Landing Restaurant. The portions are HUGE, and the restaurant is owned and run by a Swiss family, so it is authentic. STOP IN CLINTON Yes, I know that is in all caps, and I meant it to! Clinton is an ADORABLE small town. Eat at the Cordial Restaurant. Go to the museum. (You can go in the morning if you like!) It's by donation. Take the "Historic Walking Tour" (you can get a map at the museum). Clinton is very proud of its heritage, and it shows! Whistler-Blackcomb is a ski resort/year round fun resort, with LOTS to do. It wouldn't be surprising to find Whistler locals shredding the slopes in the morning, stand-up paddle boarding in the afternoon, and bartending in the evening to pay for it all! People are very dedicated to their hobbies and interests here, and there is no lack of amazing things to do! Mountain ziplines (including the highest in Canada), backcountry exploration, helicopter tours, hiking, as well as dining, craft breweries, and world-class spas make this one of BC's favourite playgrounds. No matter what your vacation style, Whistler has you covered. For a relaxing day, visit the Scandinave Spa; for a more adventurous time, call The Adventure Group and let them know how long you'll be staying - they'll make recommendations and make sure your time is memorable! • Madeley Lake and Surrounding Area: This is an easy to access, beautiful wilderness playground with hikes, walks, and shores for all skill levels. Looking to spend an afternoon in the lake? Madeley Lake. Want to go for a more challenging hike? 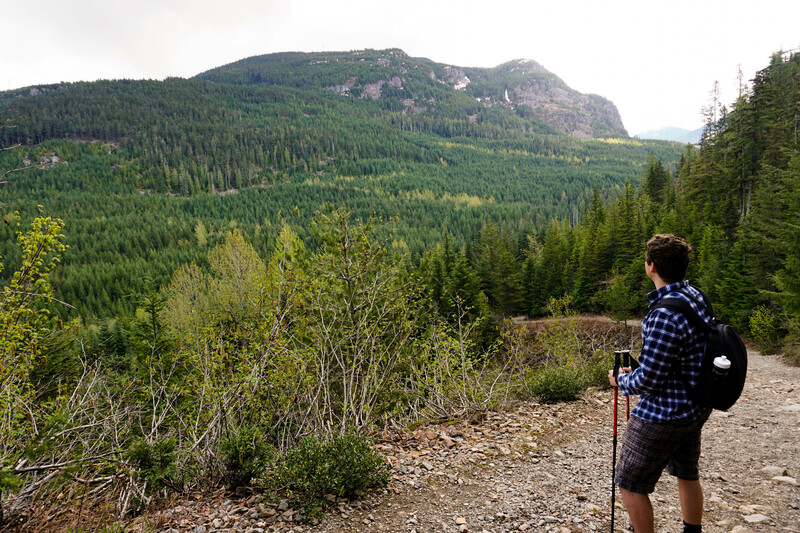 Follow the trail to Logger's Lake and do the Crater Rim Trail - which overlooks Whistler's warmest lake! • Creekbread Pizza: Creekbread is an awesome wood-fired pizza joint in the Creekside village just south of Whistler. They have ample parking, and their pies are thin crust and absolutely LOADED with delicious ingredients. Our favourites are the Pemberton Potato Pie and Mopsy's Kahlua Pork. • Rim Rock Cafe: For more upscale eats, head to Rim Rock Cafe - they have absolutely DELICIOUS food, and some of the best service we've experienced. Try their Sticky Toffee Pudding for dessert - trust us, you won't be disappointed! Today, you have two choices: a bike tour of Downtown Vancouver (the absolute BEST way to see the city), or to enjoy a trip up Grouse Mountain. If you choose Grouse Mountain, you’ll find a lumberjack show, ziplining between mountains, a gorgeous restaurant, and a birds of prey show. You can also go paragliding, explore up a wind turbine, and visit the two resident bears – Coola and Grinder. Both options are excellent, but if you have young children, we would recommend Grouse Mountain – it is a great way to spend a day! 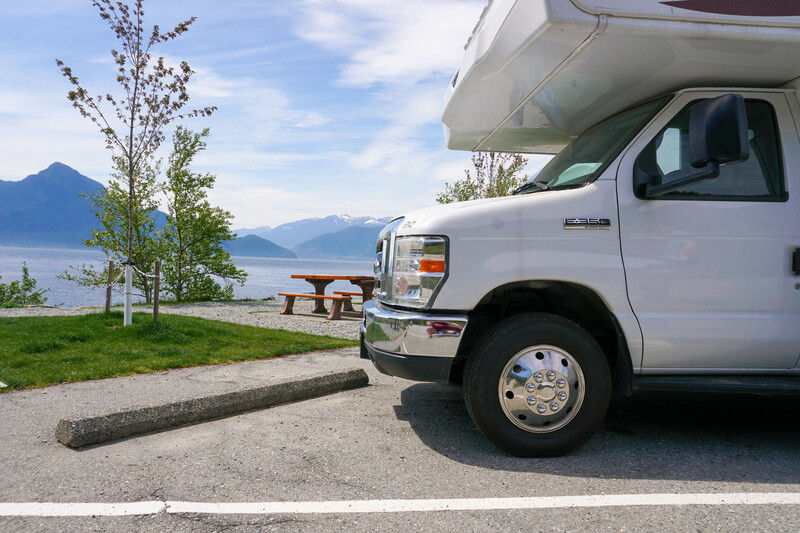 After your chosen activity, take the ferry to Gibsons, and spend the night on the Sunshine Coast – that way, in the morning, you can wash, dump, and fill the RV with time to spare before returning the vehicle! Restaurant Suggestions: Either Steamworks (if you did the bike tour) or The Observatory Restaurant (if you chose Grouse Mountain). To book this itinerary, contact us today at [email protected], or by phone at (604) 886 - 9025.